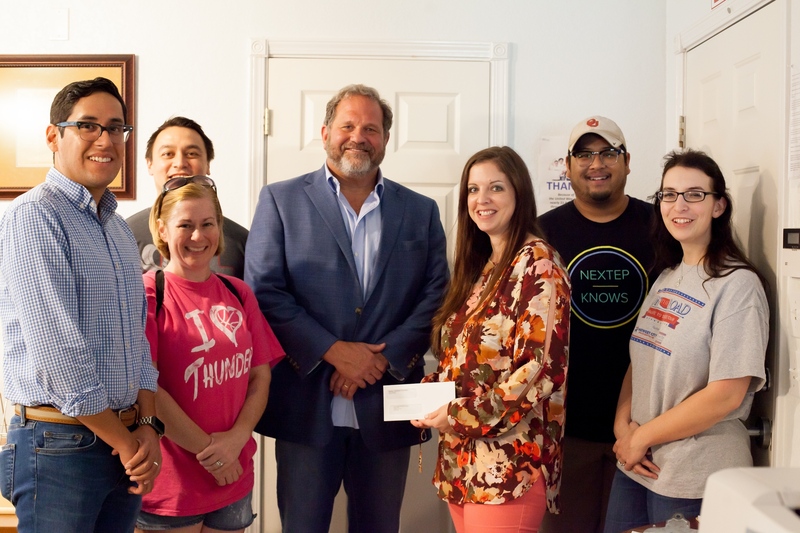 Brian Fayak, CEO and owner of Nextep, Inc., presented the Women's Resource Center (WRC) with a donation from the Nextep Charitable Foundation to purchase a storm shelter for their staff and residents. Established in 1975, the WRC serves men and women who have experienced violence. As the only organization providing these services in Cleveland County, Oklahoma, the WRC gives men, women, and their children a safe place to stay while they escape a violent home or situation. They were badly in need of a safe place for their residents to go during the Oklahoma storm season, though. With the donation from the Nextep Foundation, they can now be assured that shelter will always be available for families and their employees. Nextep's employees also recently teamed up with WRC to give a fresh coat of paint to the children’s game room. Parents and their children use the game room for a chance to play, relax, and learn about living in their new safe environment. For more information about how you can contribute to WRC, visit wrcnormanok.org.